The greatest superpower of all isn't to be part spider, part man, or to cast magic spells--the greatest power is the power to create. 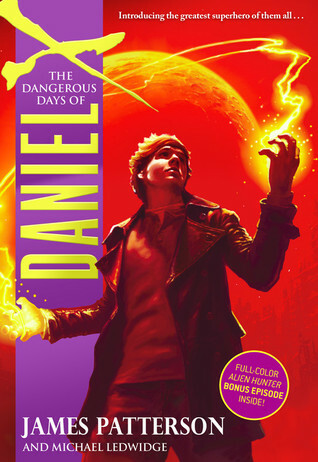 Daniel's secret abilities - like being able to manipulate objects and animals with his mind or to recreate himself in any shape he chooses - have helped him survive. But Daniel doesn't have a normal life. He is the protector of the earth, the Alien Hunter, with a mission beyond anyone's imagining. Now, on his own, he vows to take on his father's mission - and to take vengeance in the process. I admit it. I’ve never read a James Patterson book before. The Dangerous Days of Daniel X was my initiation. I had no idea what to expect from this book going into it. All I knew was that I needed to review it for my school’s student book club. Before I could do that, however, I had to steal back my copy of the book from my 10 year-old son. Something you need to know about my son is that he’s a border-line nonreader. How, I have no idea. You would think it was genetically impossible, but I guess he inherited some mutated gene along the way. He loves Diary of a Wimpy Kid books and graphic novels. But to get him to read anything with more than 100 pages—forget about it. Obviously I nearly stroked out when he hijacked The Dangerous Days of Daniel X before I could read it. The appeal of alien hunters was too great for him to resist. I watched him read the book in 2 days! I saw him sneak a flashlight into his room at night, forfeit his video game time to his younger brother so he could read in the afternoon, and even read while he was eating his breakfast. My heart smiled each time. I had to ask, “What’s so great about that book?” After looking at me like I was one of the aliens in the book, he simply replied, “It’s just awesome.” I pried for a bit more information since he is 10, and he informed me that the writing style is what one him over. He said everything is so detailed that he can “visualize everything in my head.” Reading teachers rejoice! He was using a reading strategy! When I read the book, I had to agree. James Patterson is very descriptive and holds nothing back. It doesn’t matter if you’re reading about a decaying cemetery or exploding alien heads—the quality of the details is the same. I also enjoyed the “voice” that Daniel held throughout the book. He was a riot. Witty, sarcastic, and a bit irrational at times—he was a typical teenage boy. James Patterson did a great job of giving us insight into his thoughts and emotions. As I read, I felt like I knew Daniel. It was as if he was one of the kids walking around in my neighborhood. I think I can safely say this book has massive appeal for boys of all types. It doesn’t matter if they are a reader or not, they will probably enjoy this series. 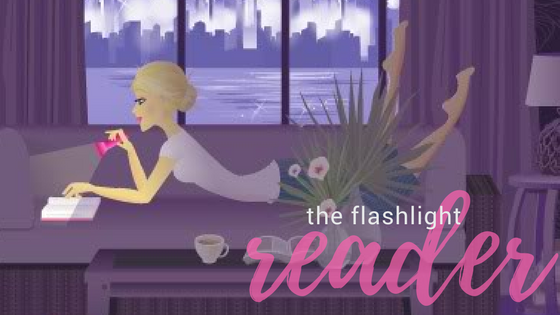 It is overflowing with nonstop action, which will surely keep them flipping the pages long into the night.